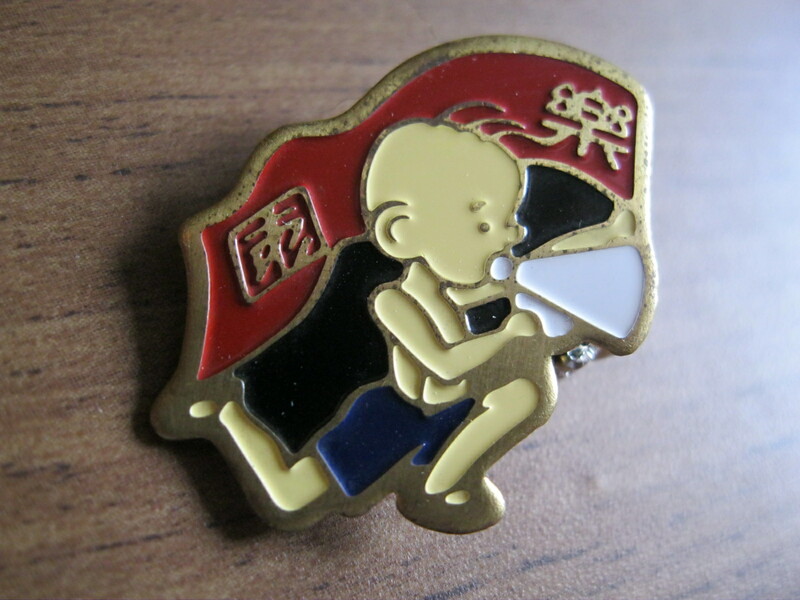 Many thanks to Sue Anne Tay of Shanghai Street Stories, who knows of my interest in Zhang Leping’s Sanmao comics and picked up this pin for me when she spotted it one day in Shanghai. The exhibit, auction, and membership drive were all successful, and they highlight the work of several major figures in the child advocacy movement in civil war-era Shanghai. But they also put a happy, even celebratory, face on one of the most devastating problems affecting Shanghai during the civil war. As the city filled with refugees fleeing the war-stricken provinces, the numbers of “wandering children” on Shanghai’s streets also increased. Organizations like Song’s CWF and the city’s numerous orphanages struggled to assist as many of these children as they could, but the problem continued to grow. Epidemic illness and bitterly cold winters struck the youth population the hardest, and each year benevolent societies collected thousands of bodies from Shanghai’s streets, the vast majority of them the corpses of children. These “real-life Sanmaos,” unfortunately, needed far more assistance than the sale of Zhang Leping’s 30 watercolors could provide. I very rarely find much Sanmao memorabilia, aside from books (and I have quite a collection of those, I can assure you). The pin is now resting against the Sanmao coffee mug that I picked up at the Zhang Leping Memorial Hall in his hometown of Haiyan, several hours south of Shanghai, when I made a day trip there last year. (I’ll be going back there for a longer visit at some point in the next few months to do research for a big Zhang Leping project I’m working on—stay tuned for more details.) Thanks, Sue Anne! * This marks the first time, I should add, that I’m sharing a single word of my dissertation with anybody. I’m about halfway through Chapter 5 (the first chapter I’m writing, for some very boring but practical reasons) right now and am at the point where I can’t even imagine sending this messy pile of words on to my adviser, let alone allow anyone else a glimpse. Don’t expect these sneak peeks to come along too often.